Welcome to the "It's Earth Day, It's My B-Day!" Blog Hop hosted by Gaby of Gaby Creates! Where today is Earth Day and Gaby's Birthday! You should have arrived here from Yolie's place, if not, you'll want to head over to Gaby's at the start! This hop is all about the earth, birthday's or both! The only other rule is it had to have green in it, because that's Gaby's favorite color! I hope you like my card! Scrappy Moms Stamps~ Furry Friends "I dig you"
EAD Designs ~ Hoo Love Earth sentiment inside "happy earth day!" 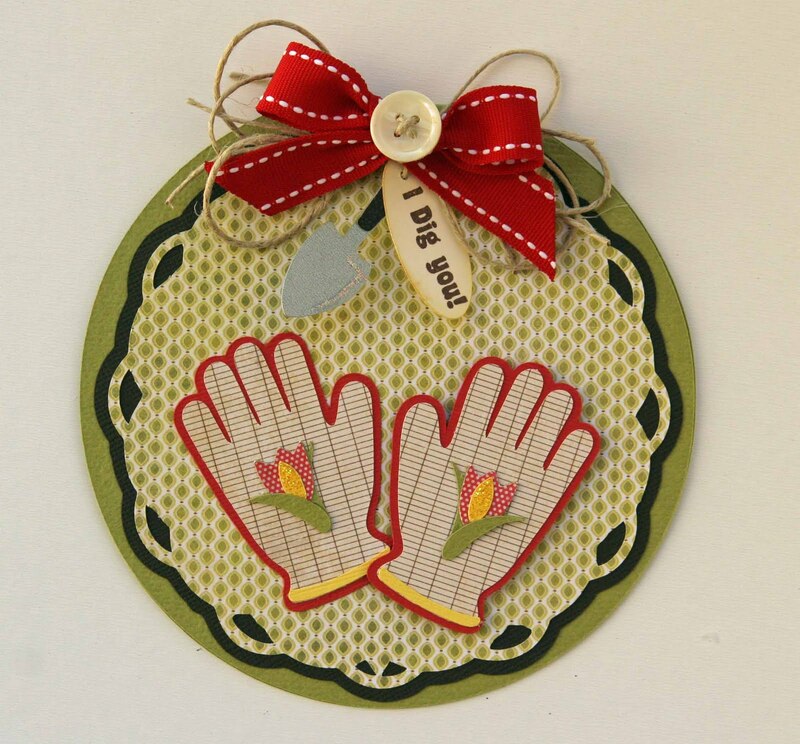 EAD Designs is now offering FREE shipping on Scrapbooking Stickerz and Rub-ons! Don't forget to wish Gaby a Happy Birthday and leave a comment for everyone, you never know who's giving candy away! Your next stop is Melissa! Love your card! Love the colours of it too! 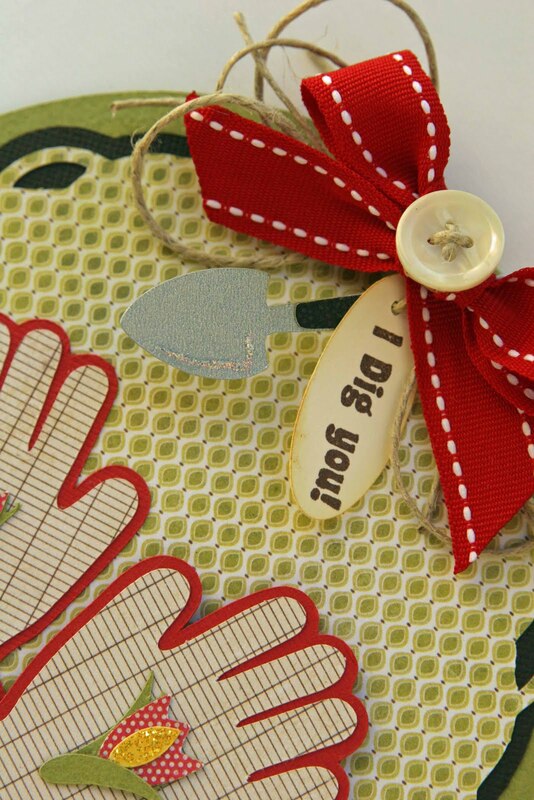 Love the pattern papers and all the details like hemp, button and little shovel! Cute! oh wow such a wonderful card. I love it. Wow.....I love it! Its fabulous......I'm your new follower. I love your card! I just used that same shape to make Easter cards and it is one of my favorites!! I always enjoy stopping by your blog to see what you have created! Liz, your card is just precious! I love the gloves and the teeny-tiny shovel. Adorable! Thanks for reminding me that not all cards have to be square or rectangles! This is super gorgeous!!! Love the detail and the color!! So fantastic! OMGsh.. how sweet is this!! The gloves are adorable with a PERFECT sentiment!! this is adorable, what a cute card! What a creative card. Thanks for sharing. That is so cute!!! LOVE the colors you used, and that cute little shovel tied onto the bow!!! I love the round card!! LOVE your card!! The shovel in the bow is a great touch!! Great sentiment for this day! cute card. "I dig you" too! What a clever card! Terrific layout and use of color. Thanks so much for sharing! Love-loooove your card! Love the paper and colors! Well-done! Those are one cute gardening gloves. Love love it. Wish it was my BD! I ♥ that card!! All the colors and patterns are just so beautful... I love this!! Amazing card! I love your attention to every detail! Happy Birthday Gaby and Happy Easter everyone! What a sweet little card! I just love the gardening gloves!! Love your personalized stamp! Very cool and professional looking! I am in love with this card... wow!!!! it just pops! Nice Earth card! It makes me want to get outside and dig in the earth! This so soooo cute!!! Especially the gardening gloves!!!! Thanks for sharing! Love your card -- esp. the hands. Thanks for the blog hop and a chance to win. Oh my, how cute is this!! I love it...Thanks for sharing and for a chance to win! I adore the paper you used for the gloves - makes them look so realistic!!! Love the card. So very, very Cute. I love your work. TFS. Great project. 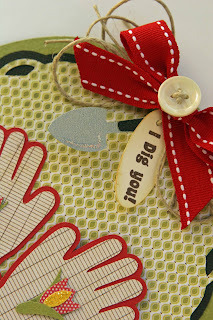 So glad to be part of the blog hop. Such a cute card! Love the little gloves! What a darling card! Love the garden gloves and the sentiment! Love ...love....love ...your card. Thanks for sharing. What a cute Earth Day card! I really "dig" what you did with the card! Perfect for Earth Day - great card. I love the little hands on your card. It reminds me of working in the garden with my daughter. So sweet. In keeping with the theme, I'm recycling these comments: A lovely project to celebrate Gaby's birthday. I am a follower! Happy birthday Gaby. Thank you for sharing. I love your project!! Happy Birthday Gabby. I love the bright colors on the card. I really love how bright and colorful you card is. 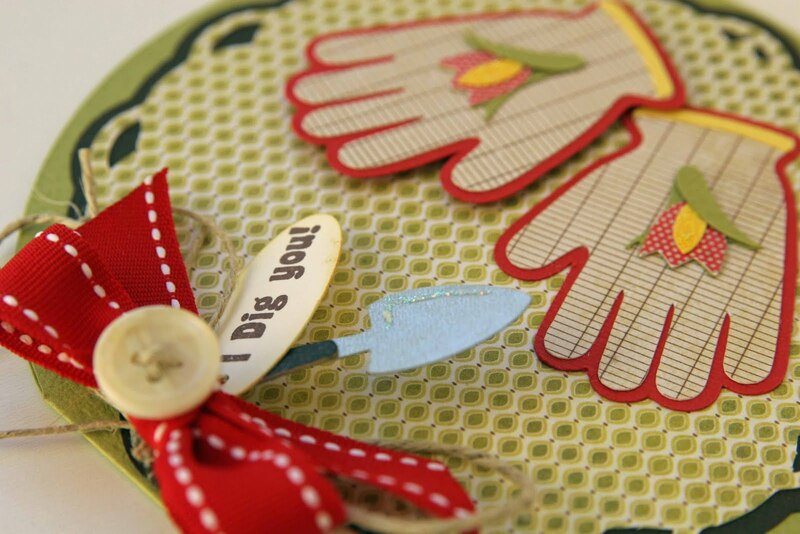 What a great card love the gardening gloves on front and the sentiment couldn't fit in any better. TFS the recipe for this card. This card is sooo cute. Love the sentiment and papers that you chose. Love it, it is adorable. Thanks so much for the inspiration. 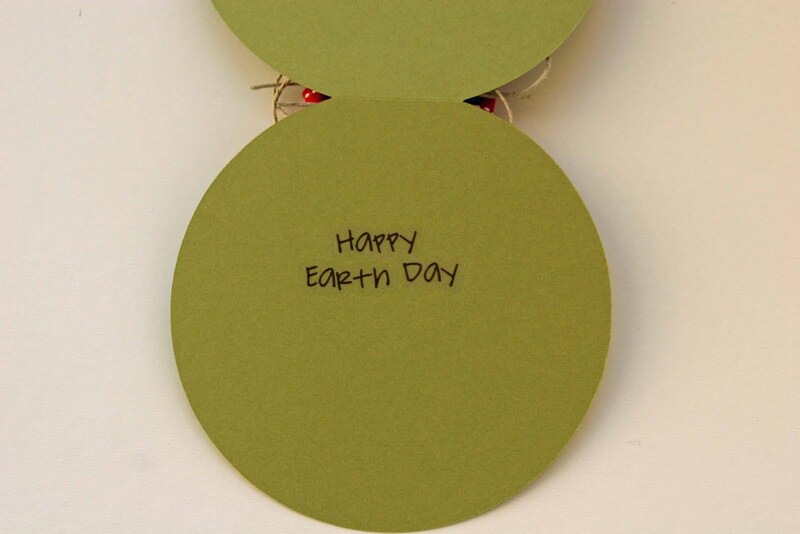 wow this is one of the cleverest cards I have seen for Earth day! Great job! Isn't that the cutest card? I love it! TFS! Very cute card, I love the colors. That card is such a cutie! TFS! Its perfect for Earth Day and a birthday! I love it! I absolutely love this!! !Thanks for the inspiration! Liz, cute card, I love stopping by to see what you are up to. I guess I will hop along now and see what the others have created. I love all your work. Adorable!! Love the sentiment with the shovel hanging from it! Thanks for sharing!! Love the garden gloves. Really cute the way it all ties in together with the "dig you" sentiment! Great work. This is a terrific card. Love the gloves and the little spade. Thank you for sharing! I love, love this card! It has it all, green, Birthday, Earthday and a shovel!I love gardens and this would be a perfect card to make for someone who shares this passion! Your card is justs adorable. Great sentiment, and I like how you have the trowel attached to it, too. TFS! Oh my if that isn't the CUTEST card! That is just adorable. I LOVE the round card! And we're gardeners, so it was extra cute! Thank you so much for sharing!! Great card and it is depicts what i did today. I planted my snow pea and green peas in the garden today. The weather was fabulous also. Great card for earth day!!! 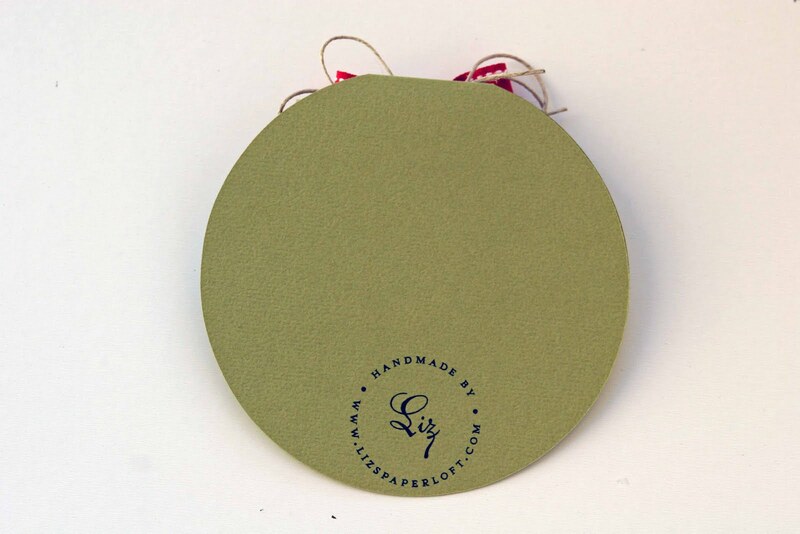 Such a darling card...I love round cards! love your card! Happy belated birthday!